Kick off Fall with 5 Game Changing New Features from ThingLink! Do your students find it difficult to process and sift through a lot of Internet information to find what they need? Searching for information and making sense of it is a process that involves critical thinking. 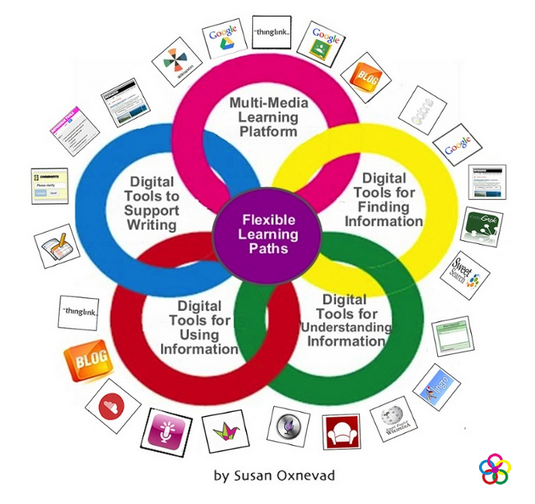 There are many free digital tools available to help students sift through an overwhelming abundance of web content to efficiently find the reliable information they need. In this webinar, we will focus on resources and strategies that provide educators with tools to help all students become savvy searchers and independent learners with a focus on tools that meet the diverse needs of all learners. 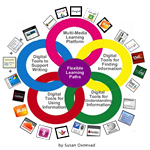 This webinar will focus on Digital Tools for Finding Information. Digital Differentiation is part of a Simple K 12 Free Day of Learning onCollege and Career Readiness. To demonstrate the power of a new ThingLink feature known as Add to Channel, I used this blog for a bit of crowdsourcing yesterday. I asked readers to submit links to images about outer space through a simple Google Form. Then I demonstrated how to use the form to instantly capture and curate the interactive images into a Space Channel! Image curation has never been easier with Add to Channel, and collecting the links is a breeze with a Google Form. Here are the images collect so far. Nice! Watch the quick video demo recording. To demonstrate the power of a new ThingLink feature known as Add to Channel, I am offering readers of this blog a chance to crowdsource. After I collect some links through this simple Google Form, I can instantly capture and curate the interactive images into a Channel! Image curation has never been easier with Add to Channel, and collecting the links is a breeze with a Google Form. 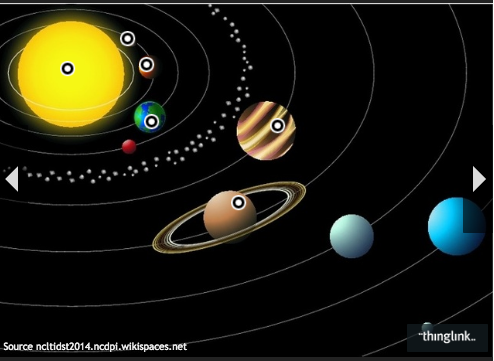 I chose the topic of outer space because I know there are many fantastic ThingLinks out there. Once I find them I will have an amazing resource to share with all. Please submit a link to an image and check back in the morning to see the curated channel of space images. My toolkit is filled with interactive graphics I’ve created and packed with resources. I use these to successfully jump start the learning of busy educators in places near and far. I frequently update and adapt the resources in my toolkit. They grow with me. I will be sharing some of my favorite ThingLink Powered PD resources during a webinar on Tuesday, September 23rd at 8:00 PM EDT. Dan Gallagher will be providing assistance as our webinar moderator so I can share what I’ve created clearly and efficiently for participants to enjoy. Can’t make the live broadcast? Sign up to receive the archived video. I hope you will join our next ThingLink Webinar to explore my Toolkit of ThingLink Powered PD Resources. Can’t make the live broadcast? Sign up and receive the archived video. 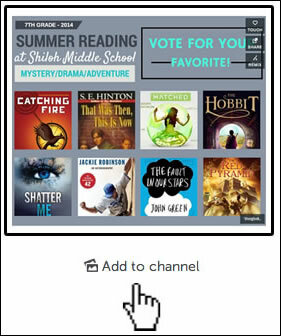 Now when users view any image on ThingLink , the Add to Channel link appears below it. Just click on the link and add that image to any of your channels. 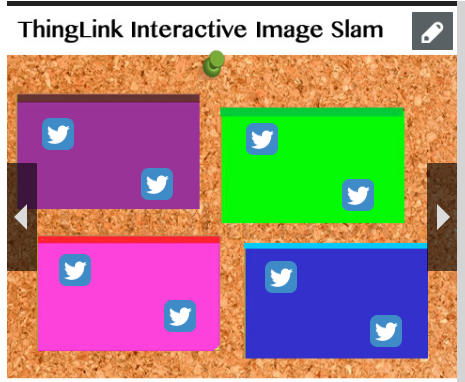 Explore the images created and shared by talented members of the ThingLink EDUCommunity during the first interactive image slam. If you have a great image to share and would like to participate in a future image slam, please fill out the form found in the channel. 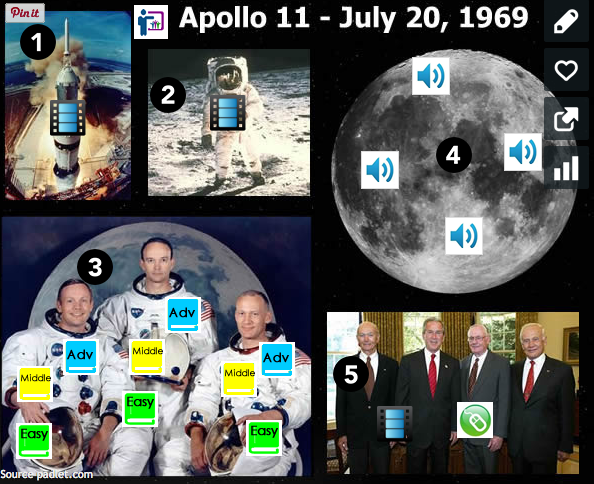 Join talented members of the ThingLink EDU Community for one of our ThingLink Interactive Image Slams next week. Get inspired by others and sign up to for a chance to slam one of your own images. Want to learn how to efficiently manage ThingLink in the classroom? ThingLink EDU is packed full of features to help teachers efficiently manage a safe and secure online learning environment powered by ThingLink interactive images. 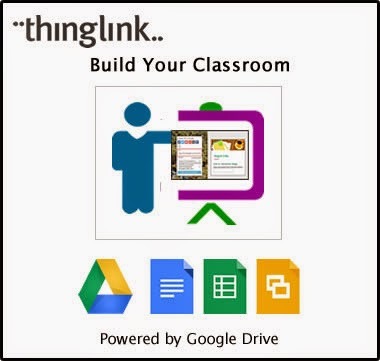 Google Docs is an extremely efficient tool for organizing and managing your workflow in ThingLink in the classroom. This webinar is designed to provide busy teachers with an overview of the newest features and offer tips and tricks for seamlessly integrating ThingLink EDU into your own classroom. Spend less time figuring things out on your own and more time leveraging the power of ThingLink as a tool for teaching and learning. Create student accounts and invite them to join multiple teachers’ classrooms. Create and manage students groups for collaborative groupwork. Use channels to create collections of images for sharing and publishing. Create and use shared custom icons for a variety of useful purposes. Take advantage of the full circle of flexible options across platforms and devices to support teaching and learning with ThingLink. Of course, we will feature inspiring examples throughout the webinar and there will be plenty of time for questions from the audience. Scroll over the image to sign up for Build Your ThingLink Classroom: Tips & Tricks for Teachers today! 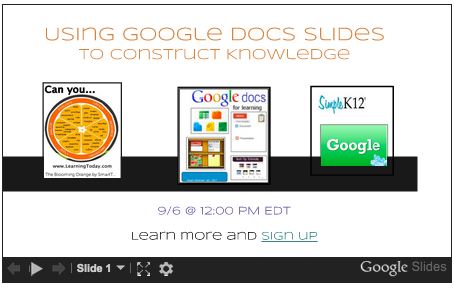 I am a big fan of using Google Docs Slides as a tool to construct knowledge. Built in functionality provides students with opportunities to engage in research, credit sources and work collaboratively to create and demonstrate learning. Tomorrow I will be hosting a webinar on Simple K-12 During the webinar I will be sharing a few fun and creative ways to put this powerful multimedia capable tool to work in the classroom. Here is a sneak peak. Find and collect images with the Research Tool. Crop with a Mask to create shapes.